The Quantified Self & Big Data: causing a new turn in science? Kevin Kelly – Quantified Self Co-Founder from Gary Wolf on Vimeo. Kelvin Kelly, founder of Wired, founded the platform qantifiedself.com with journalist Gary Wolf, and introduced the concept to a broader audience. They wanted to collect all the tools that people use to collect self-knowledge through numbers and research the relevance of self-knowledge. In his presentation about the quantified self on one of his events, Kelly is positive about the notion of self knowledge and the change it can bring to science and data processing in the broader sense. He argues that science can change by research tools, like the microscope brought new questions and answers. With the current introduction of new tools and ways of processing personal and social data, we have the ability to perform research about ourselves that has not been possible a couple of years ago. ‘It is actually changing the way we do science’ he says. In contrast to most other research methods like surveys, the quantified self only looks at one example, one individual. Kelly believes that this self experimentation is at the frontier of changing the scientific method. An example of a quantified self smartphone application is Sleep Cycle: ‘A bio-alarm clock that analyzes your sleep patterns and wakes you when you are in the lightest sleep phase’. The application uses the accelerometer in iPhones to monitor movement to determine which sleep phase the user is in. 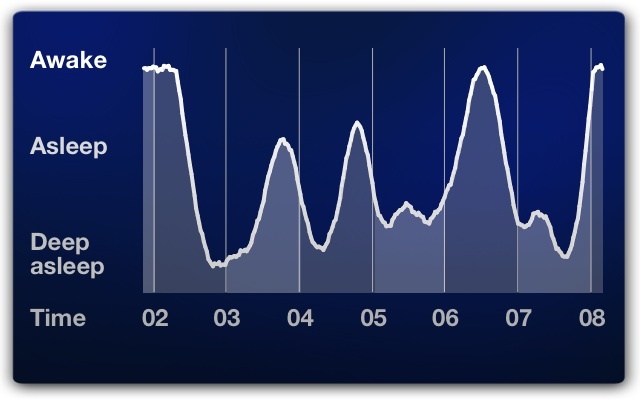 The user can view personal graphs about his or her sleep and analyze data about him or herself. This data can then be used for personal ends, like waking up at the right moment or knowing the effects of alcohol on sleep. Like Kelly, I believe that this new way of gathering data and doing research will change the way we perform science. It is citizen science: everyone can do it and it gives answers to mundane questions like: what am I doing when I am sleeping (Sleep Cycle), and what is my running progress (Nike + Running App)? Nobel Memorial Prize winner in Economics Daniel Kahneman did research about human judgment and found out that humans are actually not very good at self judgment. Introducing the concept of ‘peak-end rule’ he describes the phenomenon that humans tend to remember only the peak edges; the things in between peaks are easily forgotten. ‘We judge our experiences almost entirely on how they were at their peak and how they ended.’ Therefore, having specific data about your own behavior can fill the gaps in your own judgment. This all sounds very promising, but there are some questions about this notion. For example, can data be valuable if only one individual is studied and no comparison is made? Are users able to study themselves and can they make sense of the data in an objective way? 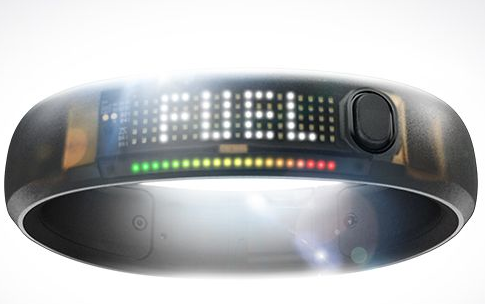 And can general claims be made out of data about the quantified self? Social networking site Facebook is facing this exact problem right now while working on a new tool: Graph Search. Tools like Wolfram Alpha can be used to get insight in a specific Facebook network, but Graph Search by Facebook distinguishes itself by making personal data easy accessible and searchable. Until now it was only possible to use the Facebook search bar to look for friends and pages; the new tool will enable users to search phrases linked to specific interests and the likes of their friends. For example, if you are looking for a good dentist in Amsterdam, you can search for: ‘Dentists in Amsterdam where my friends have been to’. A list of dentists liked by your friends appears, provided with some extra information by search engine Bing. This tool is a new step towards using Big Data in an easy accessible way. Nevertheless, indexing all of the data is a big problem for Facebook and other software developers when creating new tools for understanding Big Data. Search Graph is still in early stages and Zuckerberg himself said it will take a long time before completion. 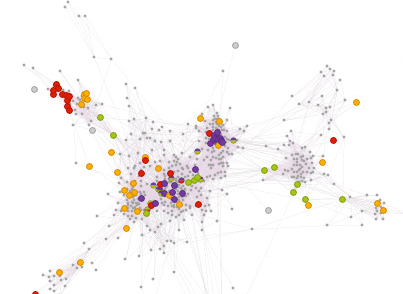 Wolfram Alpha provides personalized data and analysis of social data – like in this example the structure of your Facebook friends network. source: wolframalpha.com/facebook. Moreover, the introduction of Search Graph is a new development in the field of personalized search. The ability to get news from social media sites like Facebook is not a good development argued by author Eli Pariser. He argues that features like personalization allow rapid access to more relevant information, but they present difficult ethical questions and fragment the public in problematic ways. It is necessary that we start asking critical questons about what all this means, who gets acces, how it is processed. From Kevin Kelly’s talk at the first Quantified Self meet up, 8/29/12 – Storify in San Francisco. Boyd, Danah, and Kate Crawford. “Six provocations for big data.” (2011) – page 1. Boyd, Danah, and Kate Crawford. “Six provocations for big data.” (2011) – page 3. ‘Facebook Enhances Social Search With Graph Search‘, networkworld.com. January 15, 2013. Eli Pariser. ‘Filter bubbles, meet Upworthy’, thefilterbubble.com March 26th, 2012. Eli Pariser in Boyd, Danah, and Kate Crawford. “Six provocations for big data.” (2011) – page 6. Science Fiction, Science Faction- An exploration of the visions behind the contemporary digital world.